If you have an upcoming wedding, honeymoon, or anniversary, we can arrange for a special private charter flight for you, your spouse, family, and/or friends to reach your celebration anywhere in the world! What better way to celebrate the love between you and your companion than to surprise your spouse by traveling privately aboard a luxury aircraft, reaching your destination while sipping on champagne and enjoying your favorite confections. Arrive in style using our private air charter service, and make it a day to remember. Request a Quote or give us a call at 1-888-987-5387. Our private jet charter brokers will be happy to go over all of the details of your trip. Options can include aircraft type/model, potential empty legs and one-way routing, arrival/departure airports, in-flight catering, ground transportation and any other requests you may have for your wedding, honeymoon or anniversary charter flight! 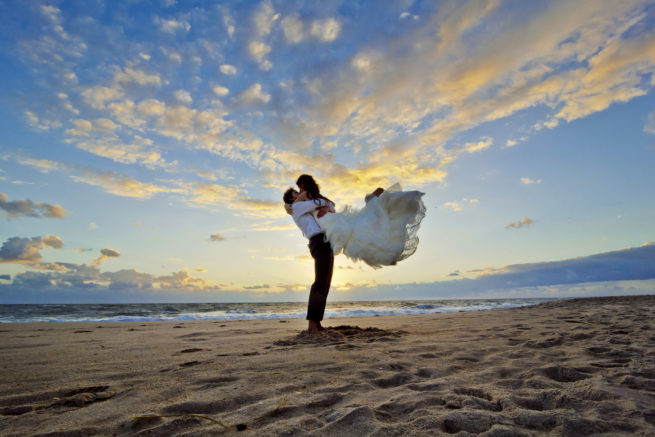 * For your convenience, Air Charter Advisors, Inc. has partnered with various event planning and destination wedding service providers who may be able to assist you with your plans. Ask your charter broker for more details.